I’m an avid gardener and every spring I get a lot of gardening questions. I know that planning a vegetable garden can be overwhelming, but it doesn’t have to be that way. 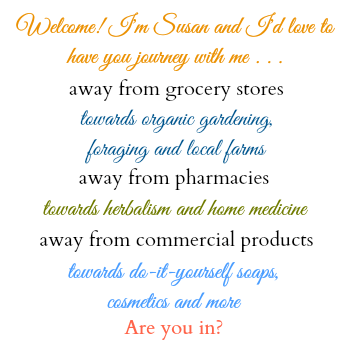 Here are the 6 simple steps that I use year after year to plan my organic garden; hopefully they’ll be as helpful to you as they are to me. You may have trouble keeping track of your vegetable garden layout, when to plant your vegetables, or whether to start your seeds indoors or to direct sow. With these steps, all of the information will be in one place and can be adjusted year to year. While I firmly believe in keeping a gardening journal, I don’t think it has to be complicated. I’m a bit of a minimalist and almost all of the info I need in my journal is on just a few pages each year. I refer back to these for all the info I need. This is one of 5 sections of our garden. I highly recommend that you purchase a tablet of graph paper to draw the map of your garden. It’s nice if the paper has holes punched so that you can add it to a binder, but the paper can be a lot less expensive without the holes. You can punch those yourself if you have a 3 hole punch. The wonderful thing about using graph paper is that you can assign a value to each square on the grid. For example, each square may equal one foot. The other 4 sections of our garden. Having them all drawn out on a map makes garden organization easy from year to year. Our property is just a quarter acre, but we have garden in several different areas. So, I use 5 sheets of graph paper to map my garden. If your garden is small, or is all in one area, just one sheet may work. If this is your first time starting a garden, you will want to choose a spot with full sun. My post on choosing the best spot for your garden will help. For this step, I highly recommend creating a spreadsheet that you can save to your computer. Most of the information on the sheet will be similar from year to year, but changes will be so easy to make. If you prefer to do this by hand, you may have to re-create the information each year, unless there are no changes. Then you could just photocopy the information from last year for your garden journal. In general, your seed packet will give you much of the information you need to know, especially whether the seed should be direct sown or whether you need to start your seeds indoors and transplant to the garden at a later date. 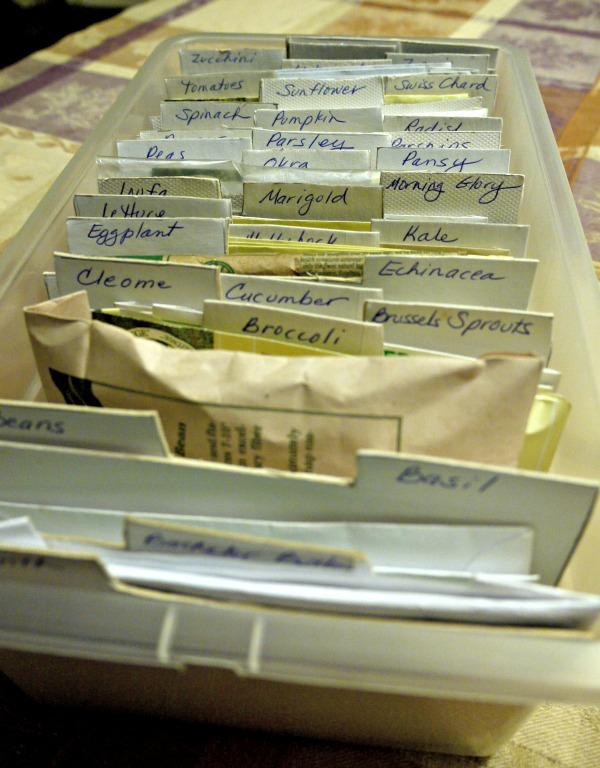 My post How to Read a Seed Packet has lots of information on what you need to know about seeds. Vegetable Seed Planting Guide – This pdf contains information on which vegetable plants should be sown directly into the garden, if your seed packet doesn’t give you that information. It also includes some valuable information like ideal soil temperature for seeds to germinate, time to plant outdoors, and distance apart to plant your vegetables. The “Date to start seeds indoors” and “Date to sow or transplant” on the spreadsheet are based on the last average frost date for my area which is May 20. Seeds are generally started 6 – 8 weeks before your last frost date. The date to plant outdoors depends on whether your vegetable likes cool weather or prefers heat. My eBook, The Art of Gardening: Building Your Soil has a growing guide at the end of the book and separates the plants into cool weather and hot weather, depending on each plant’s needs. You may look up your average frost dates for spring and fall here. Urban Farmer has some calculators that you can use to determine what dates to plant based on your last frost date in the spring. My early June garden; this section is mulched with wood chips and is very productive. For me, this is generally similar each year, but there are usually changes in varieties I want to grow, or I want to try a new vegetable one year, or decide that I didn’t really care for something I grew last year, etc. Every vegetable I decide to grow goes onto the spreadsheet under the column “Name of Plant”, and the specific variety goes under the column “Variety”. Once I know what I’m going to plant, the rest of the spreadsheet can be filled out, except “Need Seeds”, and “Have Seeds”. I do that in Step 5. Urban Farmer has some calculators that you can use to determine how much to plant for your size family. After deciding what I want to grow, I plan where in my garden to plant them. I take into consideration where I planted the vegetable last year (using the map in my gardening journal from last year) and move to another area. 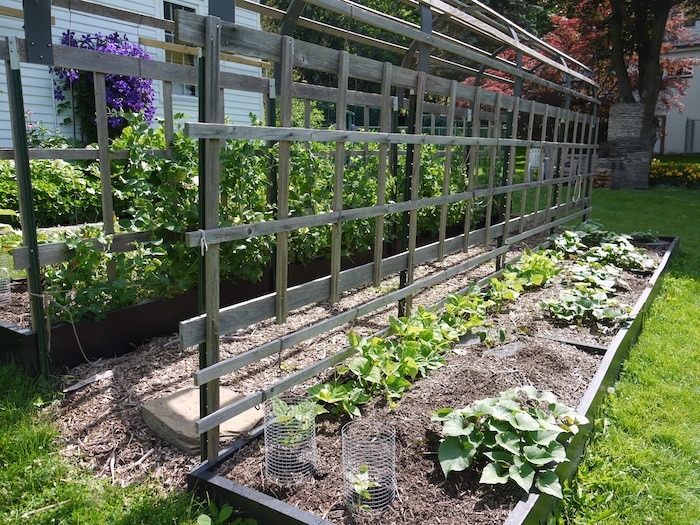 If a plant, like pole beans for example, needs trellising, I want to be sure they are planted near a fence, or in an area where I can move one of my portable trellises. Our gardens are all layered lasagna gardens with some of them mulched with hay and some mulched with wood chips. There are a few crops that don’t seem to love wood chips and others that do, so that’s part of the plan for me as well. Be sure to read my post on wood chips where I discuss this further. When I make my final decision on where to place my vegetable plants in the garden, it is all marked on the maps I drew in Step 1. I have my seeds organized in a plastic shoe box, and after deciding what to grow, I go through my seeds and see what I have available. I check the dates on the seeds I have to be sure they are viable. If they are good to go, I place an X in the column on my spreadsheet marked “Have Seeds”. And then I mark an X in the column “Need Seeds” for the seeds I need to purchase. I suppose that only one of these columns is really needed, but my aging brain likes to have both. My post Testing Old Seed for Viability has information on the shelf life of seeds and explains how to test them to see if they are still good. And then I order my seeds. I prefer heirloom or open-pollinated seeds and order most often from Seed Savers Exchange, Baker Creek, Urban Farmer, or Peaceful Valley. There are many more incredible seed companies out there that carry quality organic seeds. I personally do avoid companies owned by Seminis/Monsanto/Bayer/Syngenta/Dow/DuPont/ChemChina (sorry, but it’s hard to keep up with who owns who, and who just purchased who, who is merging, and who is acquiring who). You’ve now planned your garden and will be organized and ready to go as you follow the instructions you’ve already laid out on your spreadsheet. Print the garden planning spreadsheet for each year and keep it in your garden journal. In addition, include the map you’ve drawn of your garden indicating where each vegetable or flower is planted. My garden journal also contains growing instructions for my vegetable plants and copies of soil test reports. The only other thing I add to my garden journal are the invoices for the seeds and other garden items I purchase. This way, I can easily look back to see where I purchased each item, how much I purchased, and the cost. Thanks for stopping by, Willow!